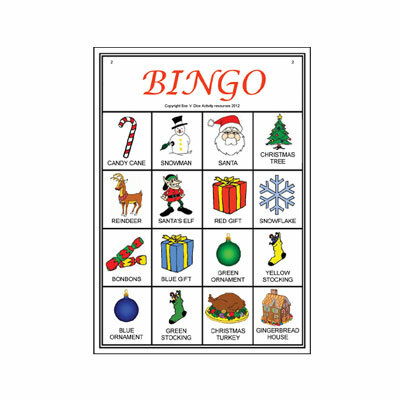 A downloadable and printable picture bingo game featuring symbols and traditions of Christmas. Instead of numbers being called, the names of the pictures are called out and players place their bingo counters on the pictures on their cards. Each player card has 16 pictures of well known Christmas symbols and traditions on it. Each picture also has the words printed underneath to aid location of the picture. Use your own bingo counters to play the game. This game is suitable for clients with good cognition or minimal cognitive dysfunction and good listening skills are required as some pictures have slight variations e.g. red stocking versus blue stocking. Tracking sheet for marking off pictures as they are called. All activity components and instructions will be manually emailed to the purchaser as links to pdfs within 48 hours.